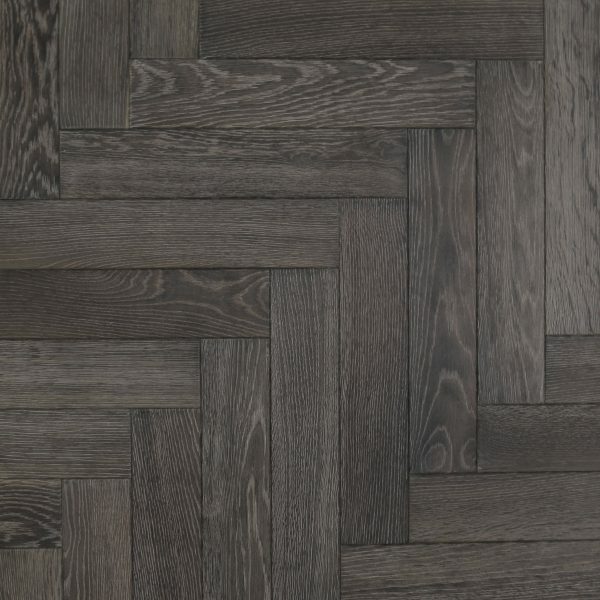 The Burnt Slate Oak Parquet flooring has been beautifully weathered with the same characteristics of the Cumbrian slate screes. 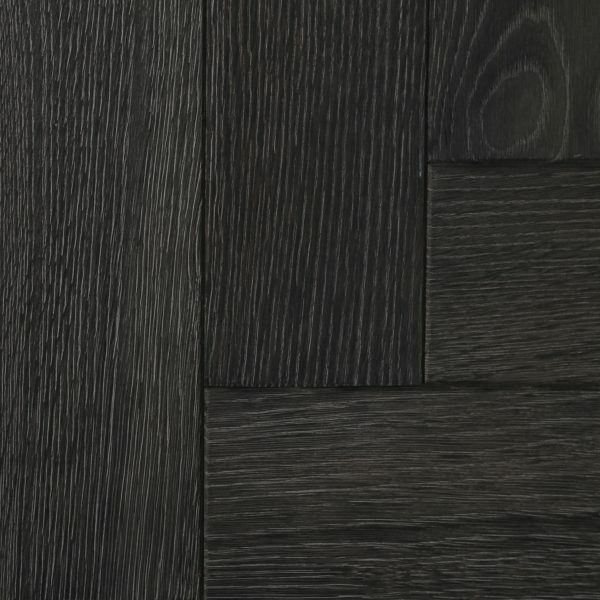 Burnt slate is complemented with a grey weathered hues throughout. This wonderfully bold and would look amazing in any given space. The Burnt Slate Oak is made with reactive stains and hand applied patinas, these meticulous hand ageing techniques create boards with the same characteristics of the scree slopes. As with the scree cliff no two areas are the same, no two of our hand aged Burnt Slate boards are the same. 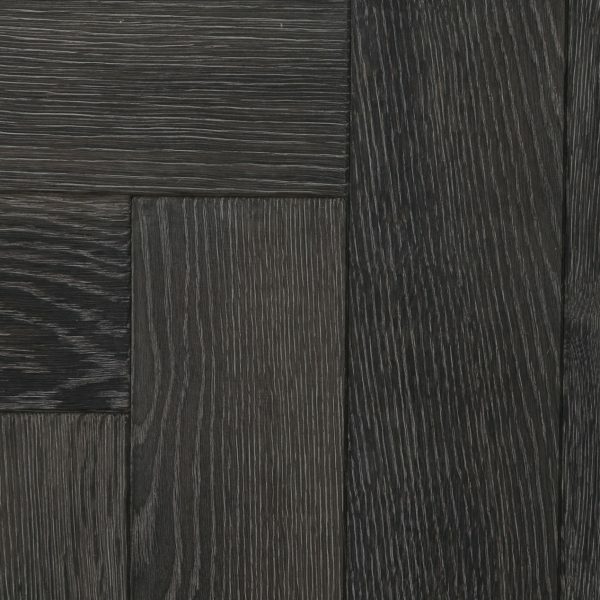 The overall appearance of the floor will have weathered burnt texture with grey and silver colourations breaking the surface of the timber. These beautiful boards would enlighten any residential or commercial space. 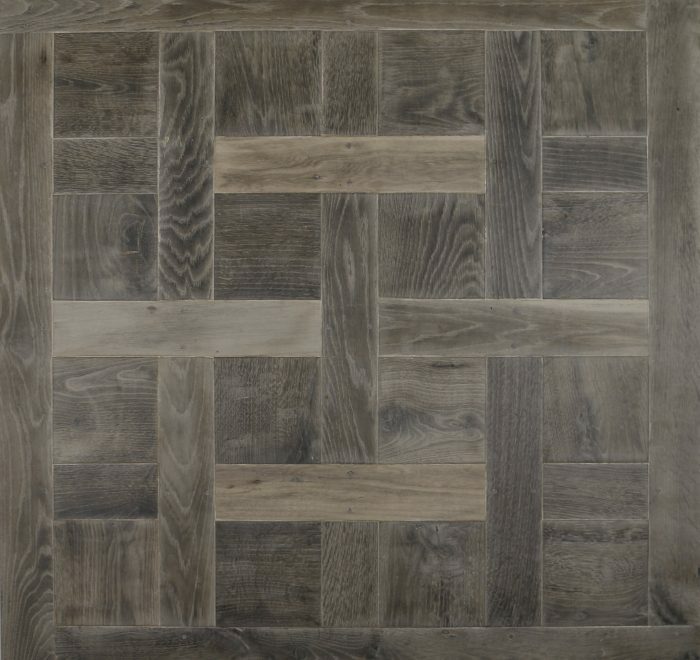 This stunning flooring can give an incredible focal point to any room.